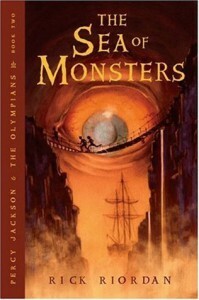 Grover was captured by Polyphemus (an evil Cyclops) and needs to be rescued. The tree of Thalia has been poisoned which made the magic walls of the Camp Half Blood open to monsters. The quest of finding the golden fleece (that can heal Thalia's tree) was given to Clarisse but Percy, Annabeth and Tyson (a baby Cyclops, which happened to be Percy's half brother) will also do the quest with the help of Hermes. 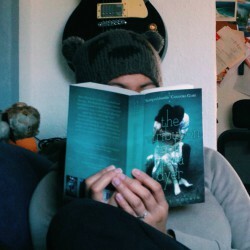 I love this book more than the first one. I think even if I didn't read the first, I can still follow the story. It's also good that Riordan included some background stories about the characters or names that was mentioned. It's very helpful for those who don't have a lot of knowledge about Greek Mythology (Ahem). My favorite character here is Tyson. He's cute (not to mention that Douglas Smith played his character in the movie) and he likes Rainbow (a Hippocampus).